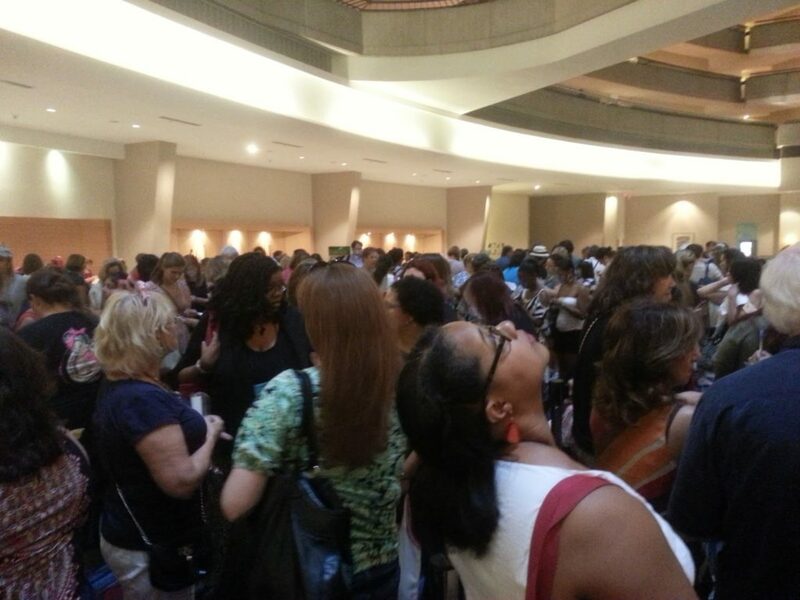 Day 2 at the Romance Writers of America meeting was overwhelming but fun. 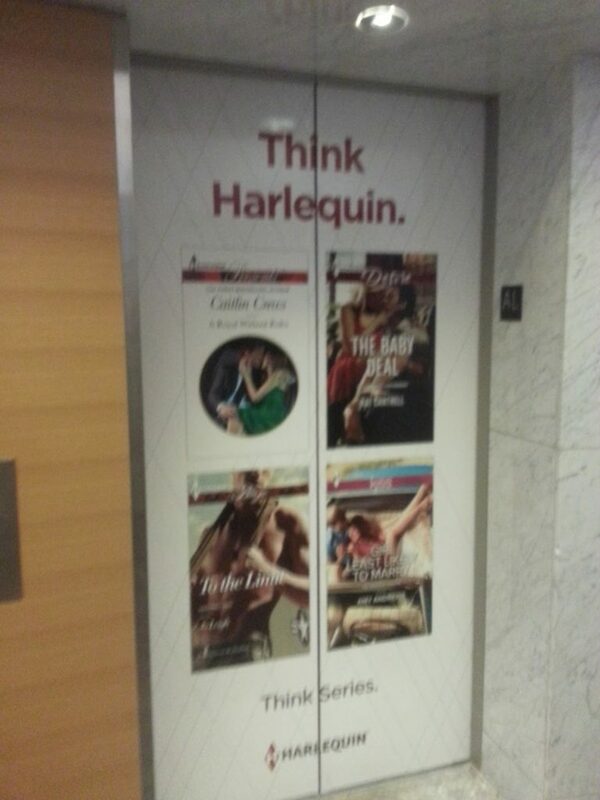 All the elevator doors now sport nifty romance covers. My first trip to the goody room was interesting. It was absolutely fascinating to see all the different ways that authors promote their books. 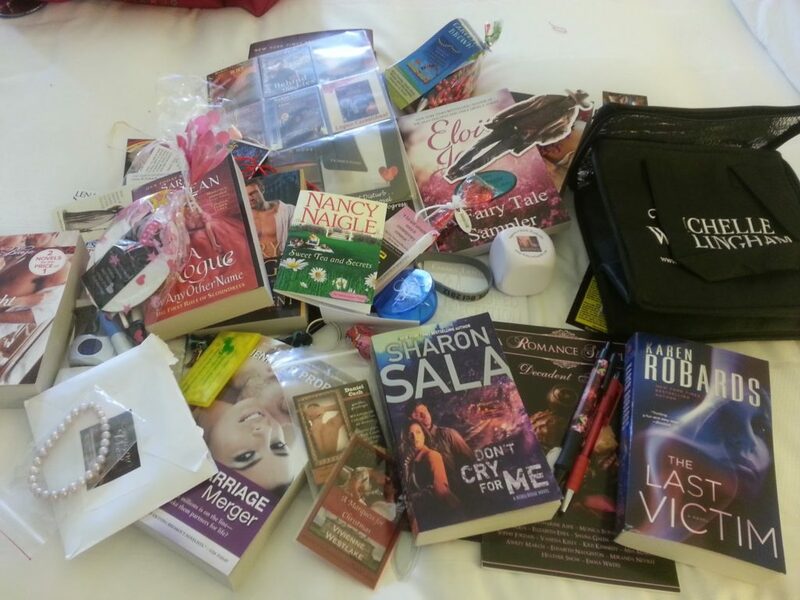 In addition to the bookmarks, trading cards, and pens, there were also glow sticks, candy, handmade key rings, squeeze toys, buttons, digital and print books, clips and even pearl jewelry. Marketing is a fascinating subject which I’m diligently studying at the moment so that I’ll be ready when my novel is published. First day of gathering goodies. I think this pile will only get larger. I also attended the Literacy Autographing session in which authors all signed their books and then the recipients purchased the books with the money going to promote “readers for life” and other literacy programs. There were a lot of people there. It was loud and overwhelming, but on the plus side, I got to meet a lot of authors that inspired and impacted me and my decision to pursue writing. It was wonderful.